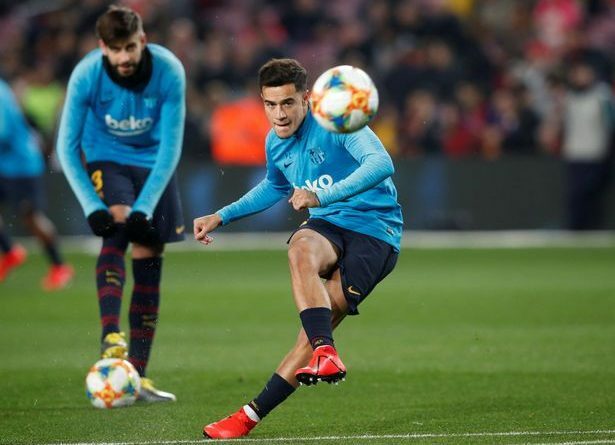 Red Devils held talks with Barcelona attacker Philippe Coutinho and planning to make a bid during the summer transfer window. Man United need a new creative midfielder as Juan Mata already 30-year-old and his back-up is necessary. Brazil international is the best option in this situation as he has an amazing season and proved his greatness one more time. Solskjær set to pay big money for the footballer during this summer. Chelsea also keen to sign him and there will be a real battle for the player. His price could increase and become much more. The 26-year-old player joined the Blaugrana from Liverpool last January with a €130m deal. He became a key figure for the club and played several matches excellently since joining. In this Campaign, Brazilian midfielder already made 33 games, scored 8 goals and made 5 assists in all competition. This is an impressive result and he can improve his consequences during this season. Coutinho is contracted with the Catalan club until 2023 and his release clause is nearly €150m. He is a regular member of the national team and also helped them to reach the quarterfinals in the 2018 Mundial but after losing 2-1 against Belgium they kicked out from the tournament. English club will do everything to sign him during the transfer window as the Norwegian manager wants to improve the front-line much more. Philippe won several titles during his career like La Liga, Copa del Rey, Spanish Super Cup, Italian Cup and Italian Super Cup which is already a big achievement for the player.